For Peruvians maca is and has been a true superfood for centuries. The herbal plant is eaten as a vegetable, the root is used as supplement and medicine. 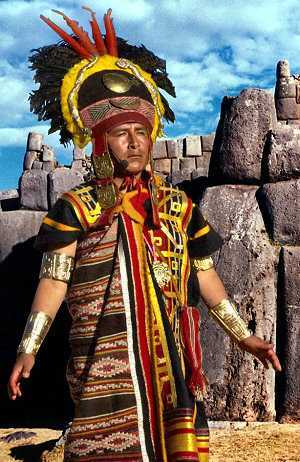 The Inca&apos;s used dried maca root as a royal delicacy and even as a currency to pay their colonial Spanish taxes. 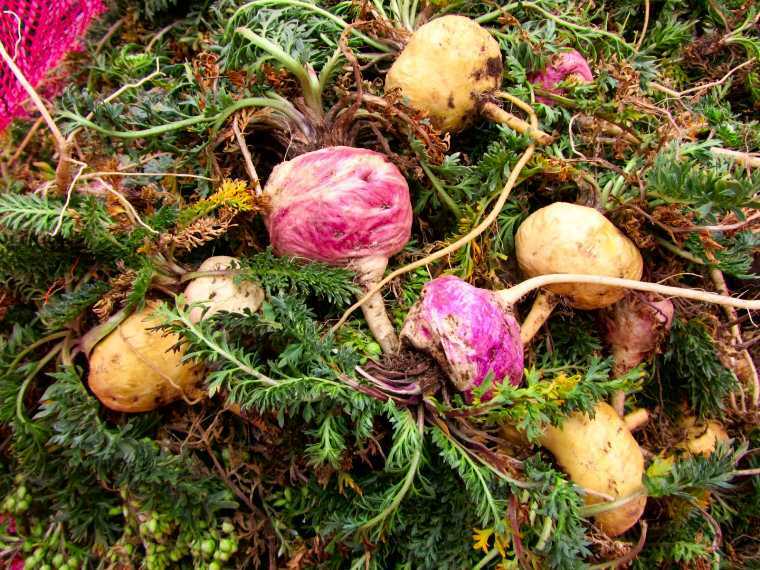 Maca is an herbal plant and is considered the highest altitude crop in the world growing at around 10,000 - 15,000 feet (3000 - 4500 meters) above sea level in the Peruvian Andes. It grows in rocky areas that look like nothing will ever grow there. The plant itself is only consumed in Peru. The root of the maca plant is what is used to produce maca powder, maca extract and maca slices. The root is slightly larger than a large radish and the skin is yellow/brown or red/purple or dark brown/black in color. The amount of anthocyanin, a natural pigment, determines the color of the root. The flesh is pale yellow. Dried maca root has a rich malty flavor that combines well with cacao, another popular superfood. It is typically sold in a dried powder and is available at most health food stores either as a standalone product or as part of a blend/mix. Maca is a complete protein providing all of the essential amino acids (the ones the body can't produce on its own). It contains an abundance of calcium, iron, magnesium, sodium, sulfur, potassium and phosphorous. Maca also contains an assortment of vitamins including C, E, B1 (thiamine) and B2 (riboflavin). Maca was initially domesticated in the Junín region in central Peru some 2000 years ago. Maca was produced for local consumption and for export during the colonial period. Dried maca root was exported to Europe by the Spanish. The indigenous population used the maca root as a tax payment. The Spanish recognized and appreciated the benefits of maca and gladly accepted dried root as payment. Possession of maca was a symbol of status reserved for the elites in Spain. During the 200 year colonial period (1550-1750) estimates suggest the native population used around nine tons of Maca annually. Maca became widely cultivate since the Middle Ages. This continued until the Spanish era ended. Then the growth of maca dramatically dropped over the years. Maca is rarely mentioned in literary sources during the 19th and 20th centuries. A few botanists studied it in the 1960s. Then, between the 1970s and 1980s, its area of cultivation was down to as little as 15 hectares. It was inching dangerously close to extinction. The "superfoods" and "raw food" trends put maca back on the map at the beginning of the 21st century and maca has been increasing in popularity ever since. Nowadays maca root products are considered a valued export product. Peruvian law dictates that Maca cannot be exported as seed, dried or fresh root. Therefor one can only buy processed maca root products such as raw maca powder, gelatinized maca powder, maca extract and maca flakes/cubes. Unfortunately maca seeds were smuggled out of the country and since a few years maca is cultivated in China (see: https://herbs-america.com/2017/06/29/peruvian-maca-root-vs-chinese-maca-root/). The roots are laid out on large pieces of canvas to dry in the sun for a period of 4-7 days. Once dried, the root is stored, dark and dry, in a warehouse high up in the Andes. Here the roots can be kepts for up to seven years. Dried roots are transported by truck to a processing facility in Lima. At the plant the roots undergo a selection process based on weight, size and color. Each color is sold as a seperate product. or once could opt for mixed maca powder and have a blend of white, red and black maca powder. The roots are then washed with pressurized water (no additives) followed by a disinfection bath for 10 minutes. The clean roots then move on to a dehydration machine where almost all humidity is removed from the roots. For raw maca powder the roots move on to the milling stage. For gelatinized products the roots first undergo a extrusion process where the starch is removed under pressure at 130 degrees Celsius. During the milling stage the maca roots are ground into a fine powder. Maca powder represents 85% of all maca products. The powder is packed in 10kg plastic bags, marked, registered and put into boxes ready for export. Peruvian consumers actually prefer the dried root. They rehydrate the root in the refrigerator for up to 48 hours. They add pieces of root to breakfast cereal, hot milk/cacao drinks. They consume the maca mostly for breakfast. In Peru, a lot of people consume maca on a daily basis. In the region of Junín a dessert called mazamorra con maca (corn porridge with maca) is popular whilst in the Huanuco, porridge made from oats, maca, nuts and dried fruit is a popular breakfast dish. Maca pairs well with cacao, fruit and diary products. We have put together two smashing recipes based on raw organic maca powder. Peruvian have been consuming maca in combination with cacao for centuries. They use natural sweeteners such as honey, yacón or raw sugar in combination with spices. It can get very cold in the Andes and this chocomaca brew will keep you warm. 500 ml (2 cups) of milk. Full-cream cow milk works best. 1 piece of cinnamon or 1 tsp organic cinnamon powder. Sieve the cacao powder and maca powder into the milk and add the honey/sugar. Add the vanilla, cinnamon, (optional) gloves and peppercorns and bring to the boil. Once the milk boils, take of the fire and set aside for 5 minutes. Remove/filter out the cinnamon, (optional) gloves and peppercorns and serve in a mug or heat resistant glass. You can make this a few days ahead time so that you only need to warm up the chocomaca for consumption. A breakfast shake to powers the body for a busy day ahead. Nutrients, vitamins, fibers, omega acids, this all-in one shake delivers. You can make a base that lasts for 5 days so that in the morning you add the base and your fruit of choice to the blender and off you go. 1 liter (4 cups) your favorite organic milk (cow, almond, soya, coconut). 1 liter organic unsweetened yoghurt (Greek works well). -or- 75-100 g (¾ - 1 cup) berries of your choice (black/straw/blue/aguaymanto). -or- 75-100 g (½ - ¾ cup) of cacao nibs for a rich chocolate experience. -or- 1 large ripe organic banana. Add a dash of water if it gets too thick. -or- 1 thumb size piece of peeled ginger. Cut into small pieces and blend well. -or- 1 mango. Squeeze in some lime juice to give it a kick. -or- handful of organic raisins (grape/aguaymanto/Inca berries), add a few figs or dates. In the last second of blending add a few leaves of fresh mint or fresh basil to crank it up a notch.